Both the notes of his 1927/8 Winter Seminar Phenomenological Interpretation of Kant’s Critique of Pure Reason and Kant and the Problem of Metaphysics (1929) show that Heidegger’s phe-nomenological destruction of the Critique of Pure Reason ultimately serves a constructive purpose, namely, to uncover Kant’s tacit insights about the human condition. The most compelling passages from Phenomenological Interpretation and Kant and the Problem of Meta-physics deal, respectively, with those about the transcendental deduction of the categories of understanding and transcendental imagination in the Critique. 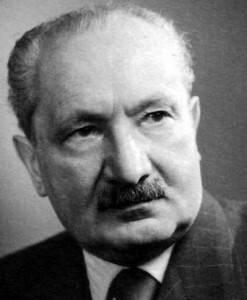 Heidegger focuses on these passages for the same reason: the way in which they both attempt to establish the real or empirical validity of the categories reveals Kant’s misconstrual of the nature of human subjectivity. According to Heidegger, the Kantian subject is marked by the fun-damental receptiveness to beings and being that also characterizes Dasein. However, in Kant’s Thesis about Being (1962), he unexpectedly calls Kant’s account of transcendental reflection, which bears no witness to our receptivity, “the most extreme [step] that Kant executed in the interpretation of being”. My paper will try to render this claim consistent with Heidegger’s earlier interpretation of Kant and his attempt to develop a ‘fundamen-tal ontology’.